Microsoft allows consumers to download Windows 7 ISO, Windows 8.1 ISO and Windows 10 ISO from its server. The official way that Microsoft advertised is by downloading the respective version of Media Creation Tool (MCT), and let the tool download and create the actual Windows ISO files. Media Creation Tool itself does not contain any Windows installation files, not to mention the ISO. What it does is to determine the need of the user, and then download the setup files or ISO image accordingly. Everything is done in the background, and you don’t have control on the download process. You also cannot use third party download manager to download the ISO to have better control, such as ability to pause and resume downloads. Microsoft has a lesser known web page for Windows 10 Tech Bench Upgrade Program which provides documentations, scripts, tools and various Windows 10 ISO images for retailers and service providers to provide support for those upgrading to Windows 10, data migration services to help people move files from old PCs to new PCs, and experience stations where people can try out Windows 10. 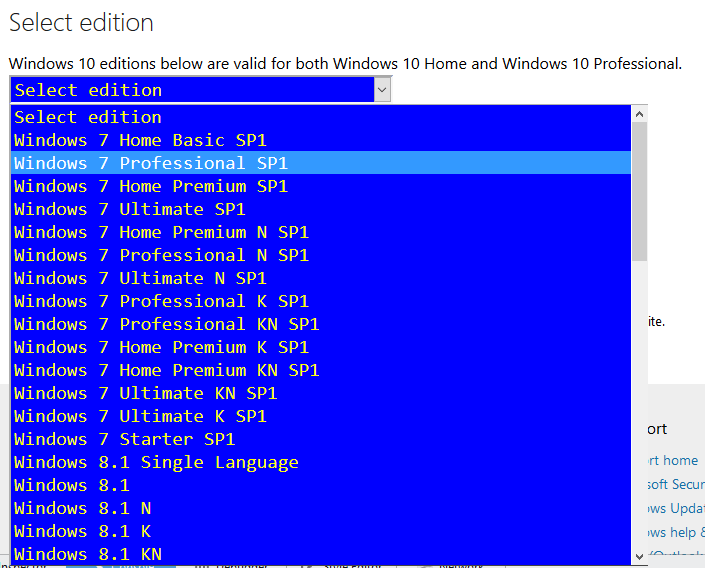 Both Windows 10 Home and Windows Pro editions are available in all Windows 10 ISOs, which will be determined during installation or activation time based on product key. What’s hidden on the source code of Windows 10 Tech Bench Upgrade Program web page is the ability to generate download links of various editions of Windows 7 and Windows 8.1 ISO images. WZor, the famous Russian hacker and leaker, has published a hack script which reveals all available ISO files for download. This tutorial shows you how to download Windows 10 ISO (or Windows 8.1 ISO and Windows 7 ISO) via official Microsoft direct download links. Both 32-bit and 64-bit of the ISO images are presented for download, and the direct download links will expire some time in future. However, the return data in CDATA format from Microsoft is not parsed into proper HTML. Thus unless a script is written to parse the array into proper HTML format, we can view the page source of the HTML page to get the download link. Most web browser uses “view-source:” to return the source code of HTML page. Hence we can input it directly into the address bar to view the HTML source directly. Locate the download link quoted after the uri variable. Visit the Windows 10 Tech Bench Upgrade Program web page at https://www.microsoft.com/software-download/techbench. In Chrome, hit Ctrl + Shift + J to open the Console. In Firefox, hit Ctrl + Shift + K to open the Web Console (may need to type Allow Pasting before proceeding). In IE or Edge, hit F2 to open Developer Tools and go to Console. Alternatively, you can visit github.com for a full listing of all downloads and languages available, with links to directly generate the valid download links from Microsoft for Windows and Office products. You can now select all Windows 7, Windows 8.1 and Windows 10 ISO images that are officially available for download from Microsoft. Select the edition that you want to download and hit Confirm. 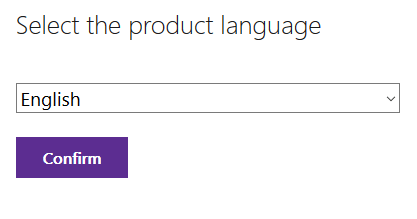 Select the product language that you want to download and hit Confirm. English is for en-US edition and English International is for en-GB edition. Click on the link of 32-bit Download or 64-bit Download to start downloading the ISO. Links valid for 24 hours from time of creation.